I showed this product in a recent haul video I did; I ordered this from Selfridges. 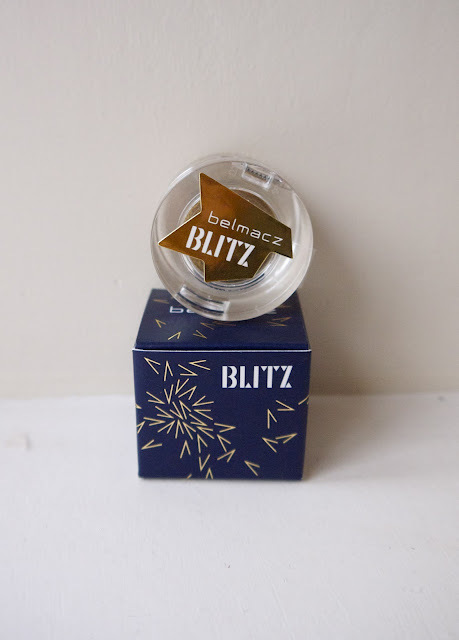 The Belmacz Blitz eyeshadow retails for a whopping £30, so when it went into the sale at 50% off, I thought I would finally have a chance to see whether the product deserves its generous price tag. 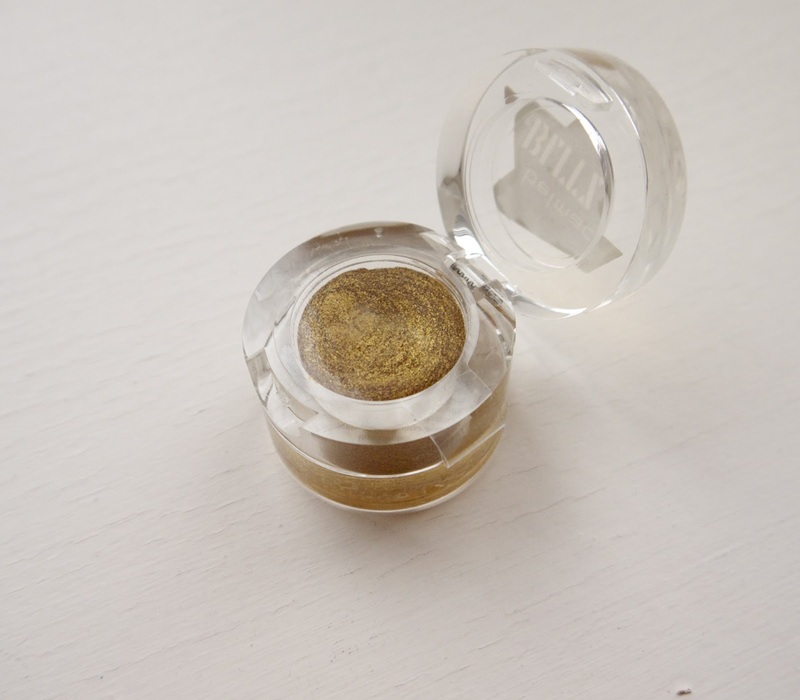 The main difference between this eyeshadow and those from other brands is that each pot contains two pure 24-carat gold leaves. So we know the ingredients are luxury, but what about the results? It is a beautiful colour, I absolutely adore gold eyeshadows. This one from Belmacz is a fairly bright gold, slightly different from the bronzey colours I normally go for. The brand also recommend it to be used as a highlighter for cheek and brow bones. In comparison to other cream shadows I have tried, the consistency of this one is quite in the middle; it's not as rich as the Bobbi Brown cream shadows, but slightly more creamy than Benefit's cream shadows. In terms of wearability, the colour is great for both day and night in my opinion. You can use it on its own during the day, and smoke it out with some powder eyeshadows layered over the top for an evening look. I found that this did last very well on my eyes and didn't smudge or fade throughout the day. Although I would say that £30 is too much money to spend on this product - that's probably why it has found its way into the sale. At 50% off, it is a good competitor against similar priced products.